We have the utmost respect for the privacy of our online customers. Any information you provide Pellicano Menswear Limited with will be securely protected and managed in line with current legislation. You can access and browse our website without having to disclose any personal data. By browsing and shopping on our website you are accepting and complying with the Terms and Conditions, Privacy and Cookies Policies provided on the site. 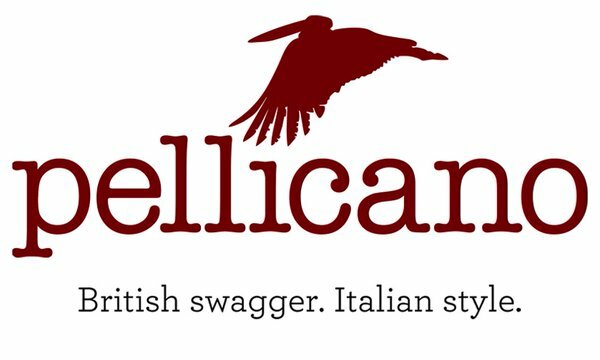 Pellicano Menswear Limited is a clothing retailer, based in the UK, with a registered address at 55 Crown Street, Brentwood, Essex CM14 4BD. Our Company Register Number for England and Wales is 08186843. When on order is placed other information relating to the purchase is also recorded (such as product, sizing and colour). This information is stored and can be used to further personalise the service we provide you with, as it allows us to advise on present and future purchases, based on those made previously. We aim for our customers to be pleased with the size, style and fit of the products they purchase from us. Our company aims to provide an exceptional and bespoke customer service. Primarily we use the data you provide to us with to fulfil our contract with you: we use your delivery address to know where to send your order; we use your email address and mobile phone number to update you about your order status and provide ongoing dialogue about your order; and to answer enquiries and provide further information about our products and services. We collect information to enhance your visit and deliver more individualised content and advertising. We are also obliged to pass your personal data onto a legal authority, if instructed to do so, under certain circumstances, eg. for the prevention of crime. We at Pellicano Menswear keep a mailing list and use marketing agencies (see above) to communicate with customers. Customers are able to opt into the newsletter (‘Pellicano Communiqué’) using the website links or when placing an order. The newsletter is primarily used to keep you up to date with our latest promotion offers, product updates and other articles that we feel you may find interesting. Articles published relate to the brand and broadly have content relating to culture, style and fashion. When you first sign up for emails, we will send you a welcome email to make sure you want to receive emails from us. You can opt out of email marketing at any time by clicking the Unsubscribe link at the bottom of any email or opt out of any marketing by contacting customer services. Pellicano Menswear Limited reserves the right to change this policy at any time. Please check this page periodically for changes. Your continued use of our site following the posting of changes to these terms will mean you accept those changes. Information collected prior to the time any change is posted will be used, according to the rules and laws that applied at the time the information was collected. Please see ‘Who we are’ for contact information. This policy and the use of this site are governed by UK law. If a dispute arises under this policy we agree, to first try to resolve it with the help of a mutually agreed upon mediator in the UK. This policy has been updated to comply with the new General Data Protection Regulation (GDPR), that comes into effect on May 25th 2018. Pellicano Menswear Limited is controlled, operated and administered entirely within the UK. This statement and the policies outlined herein are not intended to, and do not, create any contractual, or other legal rights, in or on behalf of any party.